OLD PARKED CARS. 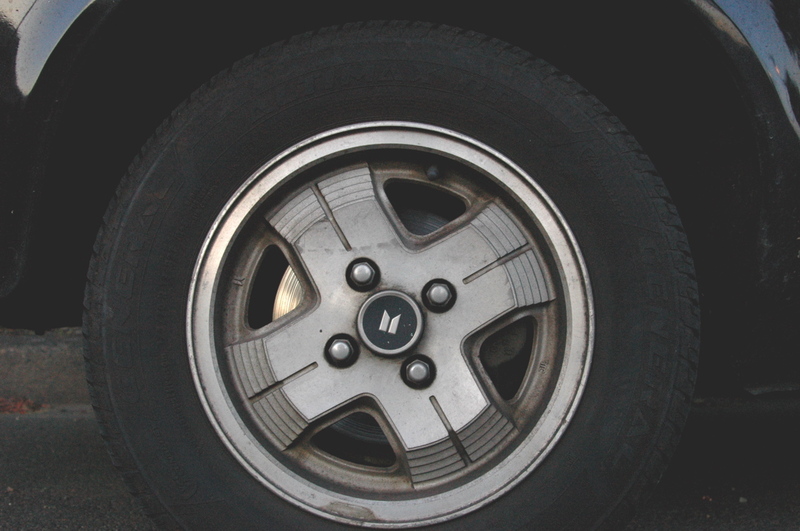 : 1982 Isuzu i-Mark Diesel Fastback. 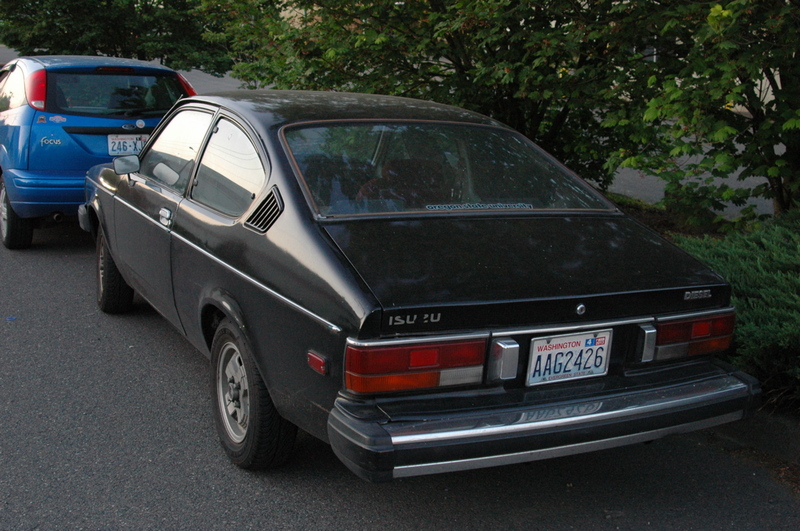 1982 Isuzu i-Mark Diesel Fastback. "Diesel" and "Fastback" in the same title. Funny. What a sharp looking I-Mark. The wheels compliment the paintjob nicely. I just noticed the tail lights looks similar to the Corolla S5 that was recently posted. Seriously brilliant. In black, with that stance, I'd love to drive this thing. Getting 40-50mpg has never looked so mean! Isuzu always had the GM connection, so yes the Opel and even the Chevy Vega can be seen especially in the profile. 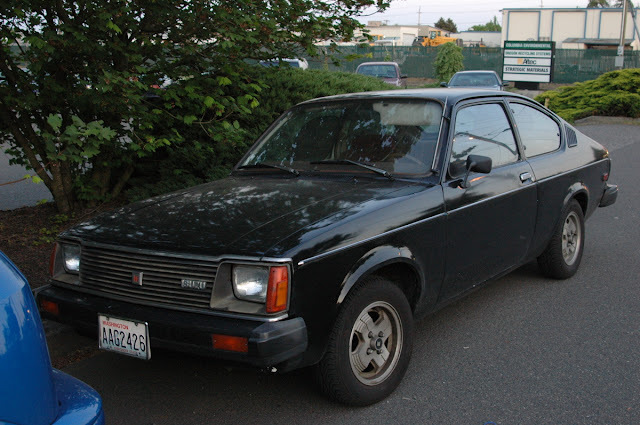 But I'm crazy- I may be reaching here; the front I see the Dodge Omni! i have seen one here in north carolina with over 1 million miles on it,asked the owner how is it possible?said other than oil changed i had flushed out the radiator once a year&changed the thermostat every other year&that is all you need to keep a diesel engine running for ever. Awesome car! This is one of my dream cars to find in good shape. And SeattleO, Isuzu made some very cool vehicles, imo, and this one has a face only a mother could love. The fastbacks are really the better option, the 4 doors are about as ugly as you can get. Yeah, IsuzuGeek, completely forgot about earlier ones, and interesting things like the Impulse. So, thinking about it, that comment didn't make much sense! The engine in that car is absolute "gold".Engineers have obviously learned nothing in 30 years, or they think we are all fools!!! Same engine as this one!! Export some Kadet tooling to Japan and their importing Buicks to the USA. 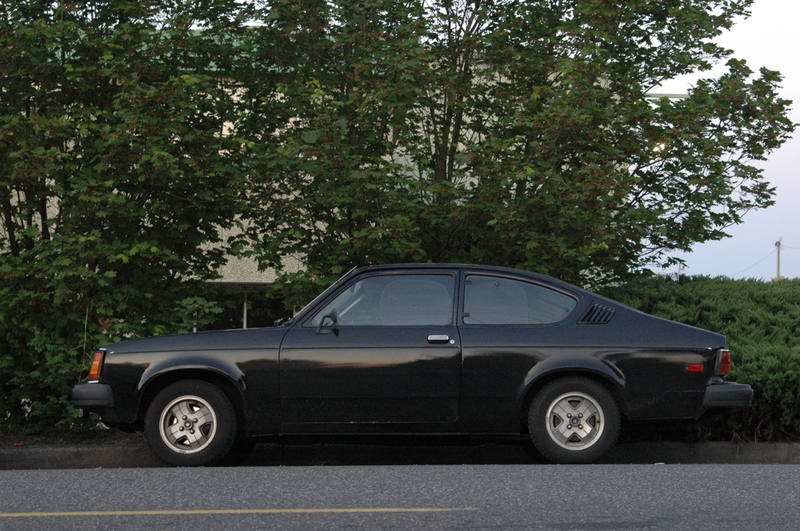 Am I the only one who finds the profile reminiscent of the Chevrolet Vega? Regardless, I'd drive the wheels off it if it has a manual transmission!